Comiteco is a Mexican spirit produced in the southern state of Chiapas based on the fermentation of the aguamiel (or agave sap) of the maguey Comiteco (agave Atrovirens Haw), native to the region around the city of Comitán de Domínguez, Chiapas. One could say that it is the missing link between pulque and mezcal. This variety of agave from which Comiteco is made was cultivated by the Tojolabal indigenous community and, prior to the arrival of the Spanish, it was used to produce an alcoholic drink without distillation; only fermentation. 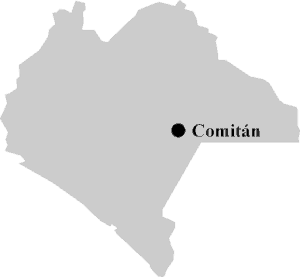 Comitán is built on the ruins of the Mayan city of Balún Canán which Aztec warriors reached and conquered briefly around 1458 (perhaps bringing with them the art of pulque production typically associated with central Mexico). It wasn’t until the 16th century, when the Dominican monks brought the alembic stills from Spain, that the process of distillation was introduced to the area. 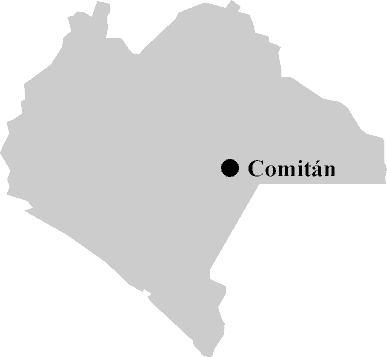 Comitán is the oldest incorporated city in Chiapas dating back to 1528. 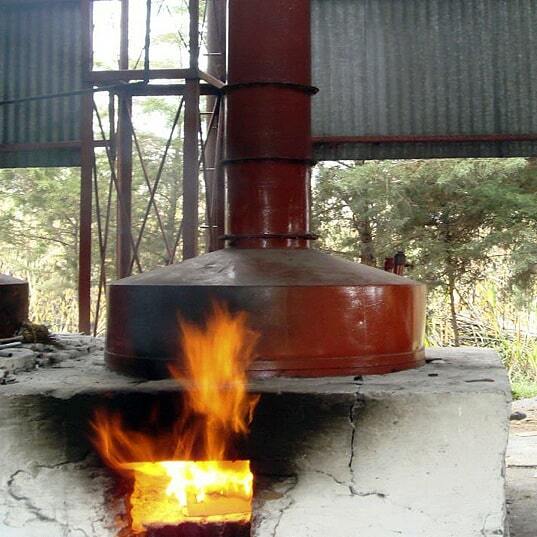 For Comiteco production, the sap is decanted from the hollowed-out heart of the live plant to produce a drink similar to pulque which is then distilled. 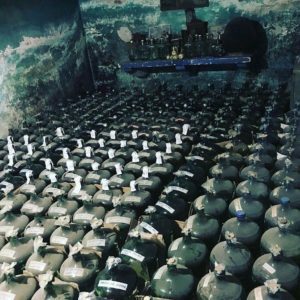 It is not in the same category as mezcal, tequila, bacanora or raicilla because these all are made from the fermentation/distillation of the cooked piña (heart) of the agave. Comiteco was a popular drink throughout the Spanish colonial era even winning spirits tasting competitions in Spain in the 19th Century. Production increased and reached industrial levels starting around 1910 with volumes almost on par with those of tequila by mid 20th century. However, in 1965, the government introduced heavy taxation on alcoholic beverages that began its slow descent into obscurity. 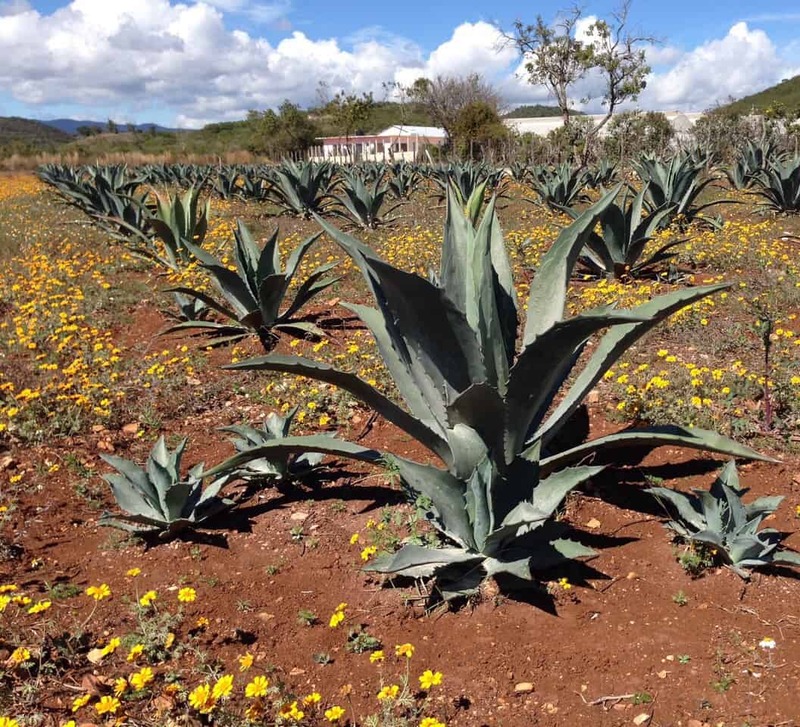 To complicate matters, the producers and farmers never properly planned the replanting of the maguey Comiteco and massive shortages caused the industry to augment agave with sugar cane during the fermentation phase. The threat of extinction eventually led the Secretaria de Agricultura (Agriculture Ministry) to ban Comiteco production in the late 1960s leading to its additional decline. The only production that remained was small-batch, artisanal ones made by families for personal consumption. 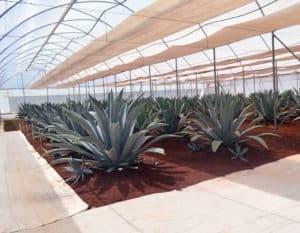 In the 1970s, various companies took matters into their own hands and started to replant the agave Atrovirens Haw such that by the 1990s the Secretaria de Agricultura lifted the ban and reauthorized Comiteco production. The Maguey Comiteco project, promoted since 2008 by Comiteco Córdova & Guillen (the producers of Comiteco 9 Guardianes), has the goal of promoting and improving the Comiteco culture in the Municipality of Comitán de Domínguez, Chiapas. This includes rescuing the maguey Comiteco variety from near extinction, proper taxonomical identification of the variety as well as a variety of projects and investigations around the following topics: establishing agave plantations with grower’s manuals, proper methods for the extraction of the aguamiel, creation of an industry dedicated to the production of artisanal agave nectar and, of course, further developing the basis of an industry furthering the development of Comiteco, a unique distilled agave spirit. Remember – it is not a tequila, it is not a mezcal. Neither the piñas nor the pencas are used in the creation of Comiteco.Comiteco Córdova & Guillen itself has an investigation center which develops Agave americana L and conducts studies with grants from CONACYT (Consejo Nacional de Ciencia y Tecnologia, the arm of the Mexican government in charge of Science and Technology). One the important results from their studies was the isolation of a native yeast of the Maguey Comiteco to better control the entire fermentation process, which is the key to making a great Comiteco. The Secretaria de Economía del Gobierno del Estado de Chiapas (the state’s Sectretary of Economy) is currently in the process of requesting the Denomination of Origin (DO) for Comiteco from the IMPI (Instituto Mexicano de la Propiedad Industrial, the government body that manages DOs in Mexico). 2. Aguamiel Extraction – a large gash is made at the top of the plant when it is about 3-4 years old. 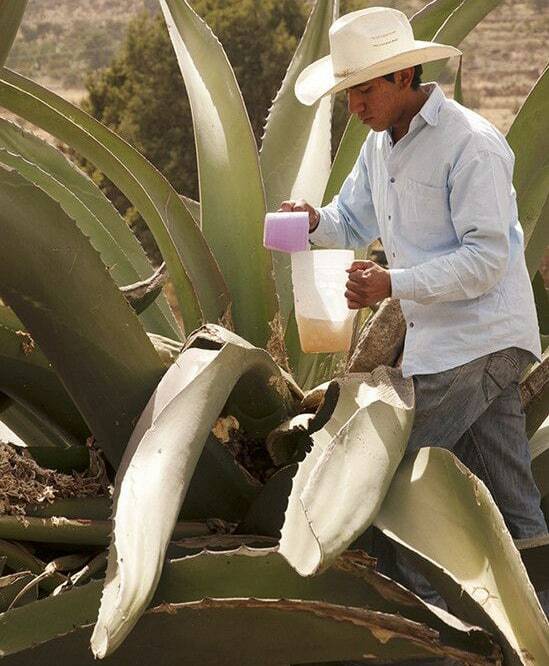 The plant produces about 10 liters of aguamiel (agave sap) per day. The collectors extract the daily aguamiel and scrape the inside of the gash to ensure the plant produces aguamiel again the next day. 3. 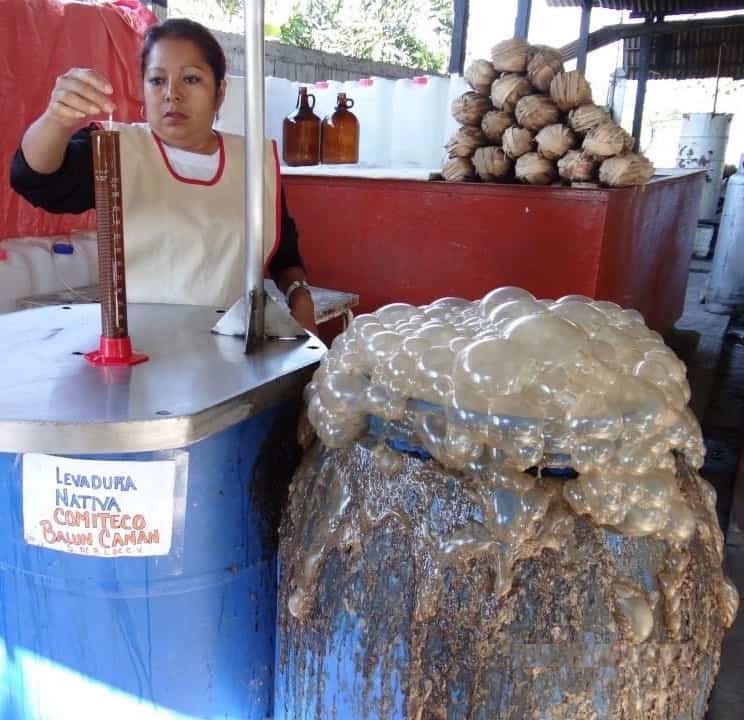 Mother Yeast & Fermentation – Back at the fabrica, experts control the levadura madre (mother yeast) by mixing aguamiel with panela or piloncillo (unrefined sugar) wrapped in corn husks (seen in the background above) and fermenting it for 24-27 hours. This is then mixed with the large, new batch of pure aguamiel and fermented for 4 to 5 days. 4. Double distillation – The fermented mosto is then double distilled in stainless steel stills. The first distallation yields a liquid at 51%. and is reduced to 23% by the addition of distilled water. 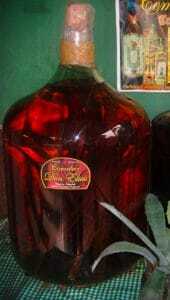 The second distillation brings the final product between 40 and 45% depending on the master producer’s desired output. 5. Aging – The process of aging in Comiteco production is also quite unique. The Blanco is aged in glass for about 6 months (which is why the label will say Reposado). Interestingly though, the Añejo is also aged in glass (not barrels) but, this time, with branches of white oak from which the Comiteco Añejo takes its wooden notes. 2018 © Back Alley Imports, LLC. All rights reserved.